Thirdfatecreations : Eldar Wraithknight, the big brother. Eldar Wraithknight, the big brother. Finished a commission for a wraith knight. 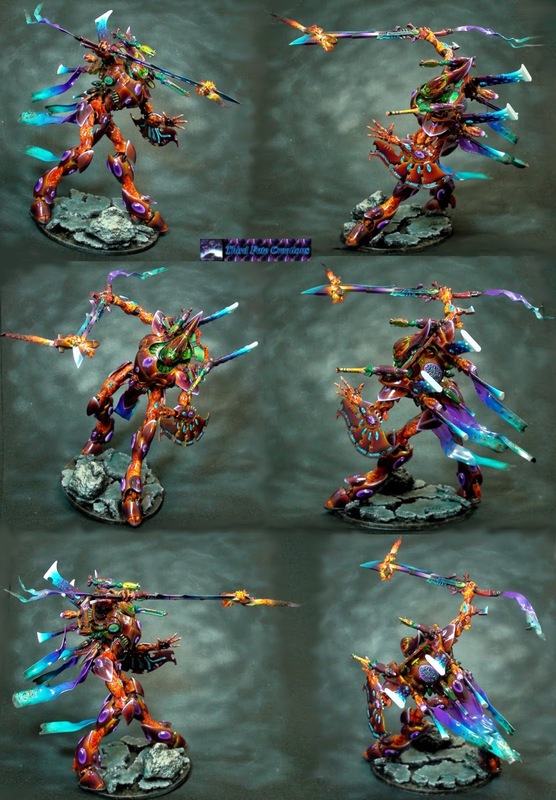 The main goal was to be similar to my early wraith lord many years ago. But trying for more dynamic he wanted something with the sword, so I went for skidding to a halt while swiping a missile out of the air.